Rust purse – I bought this at Plato’s Closet back in Oakville a couple months ago and it’s my go to purse now. I needed a purse that was smaller than all my huge totes that I use for class but was big enough to fit a sweater or my tablet. Marble laptop case – I am entirely addicted to Amazon shopping. This was a necessary purchase from a couple years ago because I needed my laptop to last at least until the end of my undergrad. I’ve since taken off the bottom component because my laptop seemed to be overheating with it on. 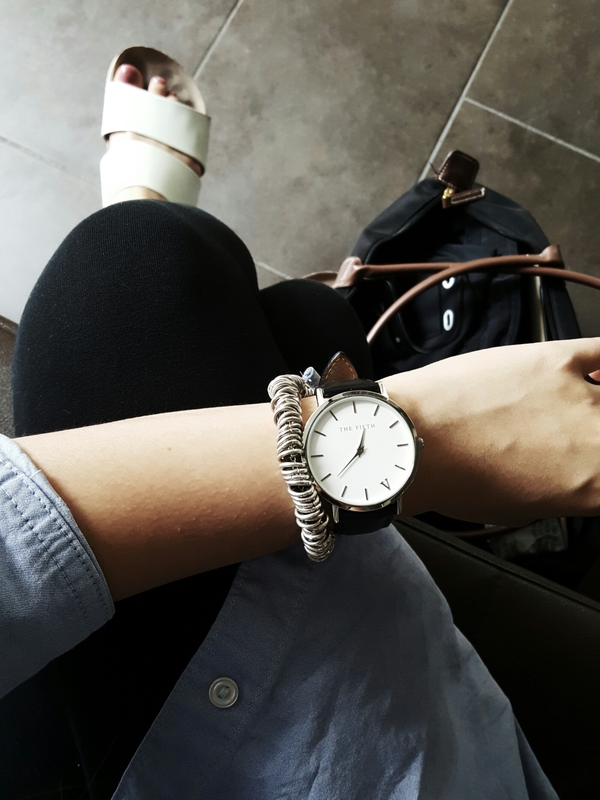 The Fifth Co watch – This one is my favorite thing on this list! I had been wanting a watch for a while and Mike got me this for our 5 year anniversary! I like pretending the roman V is for my name and not their entire brand. There’s a grey band as well that I sometimes wear it with. Coconut mango milk perfume – I am sometimes sad about how much of Chapters is non-books but I also do a significant amount of purchase from that section. This is actually the only perfume I have bought because I’m super finicky about scents but this one is lovely and light and not overpowering at all. 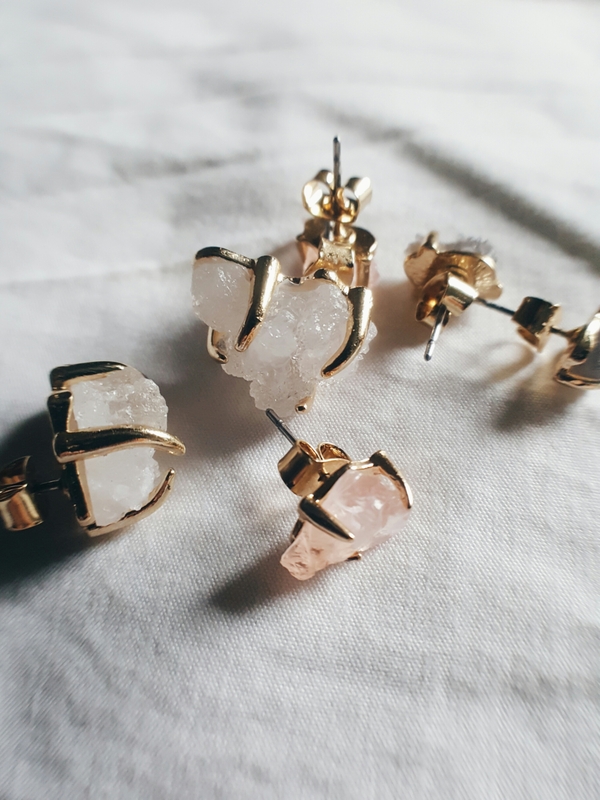 H&M gem earrings – I tried telling myself that I was going to stop buying super cheap earrings because I figured I was enough of an adult to start sinking money into nicer earrings and then I saw these at H&M and, well, there went that.